Kids love to dress up and this team-building activity provides for imagination and fun. 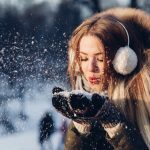 Gather clean clothing for boys and girls – shoes, tops, bottoms, hats, etc. Crazy colors and prints add to the fun of this game. Divide the children into teams and have each team choose a person to dress. Set a timer and give a specific amount of time to complete the outfitting of the chosen person. The team that manages to use the most items of clothing by end of the set time wins. Tag is another kid’s favorite. 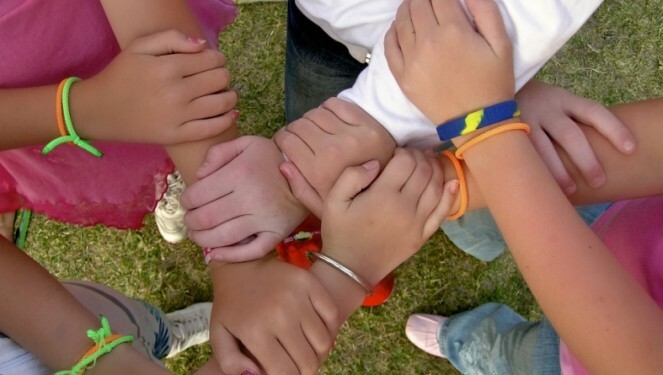 Divide your group of kids into teams of eight to ten. In a large outdoor area, turn the teams loose and let them attempt to tag each other. Anyone tagged must freeze. At the end of a set time, the team with the most players remaining “unfrozen” wins. Create an indoor obstacle course by lining up chairs and using other objects, such as couch pillows, small tables, etc. Have the children form teams. Choose a time limit based upon the length of the obstacle course. Have the teams take turns completing the course and see which completes the course in the shortest amount of time. If you wish, have the children complete multiple attempts, once crawling, once hopping on one foot, once crab walking. A classic team building game, Zoom is perfect for teens, as it is fun and quick moving. Have the teens sit in a circle and give each a picture of whatever you desire – plants, animals, people, buildings, etc. The leader or facilitator shows a picture and begins a fictitious story. Each teen takes a turn, displaying their picture and adding to the story. The resulting story may be mysterious, funny, or romantic, but will definitely keep the interest of the group. Tug-of-war is always fun and makes a great team-building game when you divide your group into teams. For this game, you will need four 25-foot ropes and a piece of cloth. Divide your group into four equal teams. After tying the four lengths of rope together to make a circle, lay them on the ground in a square with the knots at each corner. Put the piece of cloth or another marker in the center of the square. Each team lines up on one side of the rope square. When the leader or facilitator says, “Go!” everyone picks up the rope and starts pulling. Set a time limit and when the time is up, the team that has pulled the rope the farthest from the center marker wins. Place the completed papers in a small basket, bag, or box. Each player takes a turn randomly selecting a slip of paper and acting out an emotional reaction to the experience. Those players observing try to guess the experience. Set a time limit for each player to act out his or her event. Give a point for each correct guess. The team with the most points wins the game. Divide the group into teams of four to six players. Have each team choose a team member to blindfold. Designate an area for play. Have the team members stand along the sides of the playing area. After throwing the ball into the center of the play area, team members yell out instructions to the blindfolded teammates, telling them where to find the fall. Once a blindfolded player gets the ball and returns it to their team, the team receives three points. Every time a team scores, a different team member on each team, a different team member is blindfolded. The team that wins gets the most points in a set amount of time. A game to enforce planning skills, the only material you need is a handful of coins. Divide your group into teams of any number of players. Have players take turns flipping the coins and calling, “Heads!” or “Tails!” Every time a player is correct, they can remove two coins from the pile of coins. Either alternate team members until all players have had a turn or the pile is depleted. There are two ways to win this game and you can choose which is required. The winner is either the team that gets the last coin or the one with the most coins at the end of the game. Additionally, this game can be varied by adding more coins or having teams put back one coin every time they make the wrong call. Balloons are fun and make this teambuilding game an effective way to increase the players planning and adaptability. Before the game begins, inflate three balloons for each player. Divide the players into teams and give each team member one balloon. Use a different color for each team. The goal of the game is to keep your balloon in the air. When a player’s balloon falls to the ground, they are not allowed to pick the balloon up and the other teams’ members are allowed to pop it. When a player’s balloon is popped, they retrieve another and continue in the game. After a set amount of time, the game ends and the team with the most balloons not popped wins. The leader or facilitator of this team building game builds a small sculpture with colored children’s building blocks. After the group is divided into teams with four members, each team is given a set of blocks with the same color and number as in the sculpture. Each team is seated with their backs to the sculpture. One member of each team is given a set amount of time – thirty seconds works well – to view the sculpture. After a player “sneaks a peek” at the sculpture, they return to their team and give directions for the team to build a replica. Team members take turns doing so until one team successfully duplicates the facilitator’s sculpture. This game teaches participants problem solve and communicate effectively. For this problem solving team-building game, each team is provided an equal amount of materials, such as pipe cleaners, string, heavy paper or cardboard, and small empty boxes. 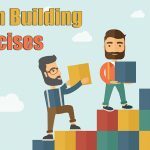 Challenge the teams to build a structure in a set amount of time. The team building the tallest structure wins. Similar to “If You Build It,” teams have a common objective, to build a structure that will carry a marble from the beginning to the end. Give each team pipes, rubber tubing, and pieces of cardboard, and tape and blue. Set an amount of time for the structure to be completed. The one with the longest and best structure for carrying the marble wins this game. 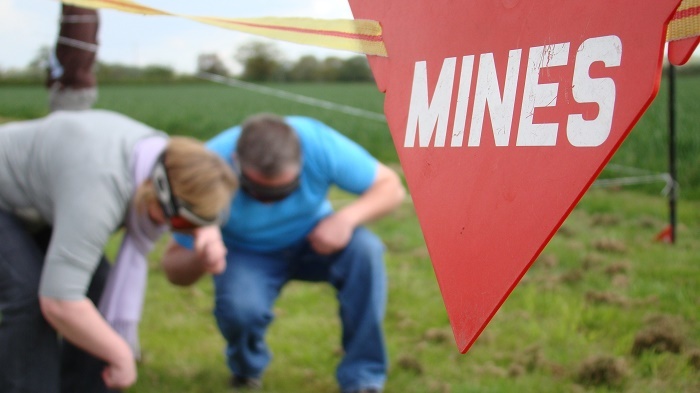 A classic team-building game for building trust, Minefield requires players to trust team members as they verbally provide instructions for navigating an imaginary mine field. Place colored pieces of paper on the floor in a designated play area. Divide your group into equal teams. Team members take turns being blindfolded and instructed how to navigate the minefield. If a player steps on a colored piece of paper, they are “out.” All the team members take a turn and after all have done so the team with the most successful players wins the game. Similar to Minefield, this teambuilding game also involves blindfolded players. After dividing the players into teams, everyone gets into a circle with teams members together on each side. Each team chooses one person to be the pinball. Blindfold the chosen players, who must cross the circle without bumping into the other player. If they do so, they are out. When a person reaches the side of the circle, team members turn them around and they must return to the other side. Every time a player is “out,” another player takes his or her place. Set a designated time limit and the team with the most players still in the game when the time is up wins. The pinball person has to trust his team members to stop him before he runs into another player. Designate a playing area and place small items on the floor, enough for each team member. Divide the group into teams and have one blindfolded team member retrieve specific items by following their team member’s instructions. Only allow a set amount of time for each team member’s turn. Continue with each team member taking a turn. Sometimes the blind folded individual will be successful and other times they will not. At the end, the team with the most retrieved items wins. 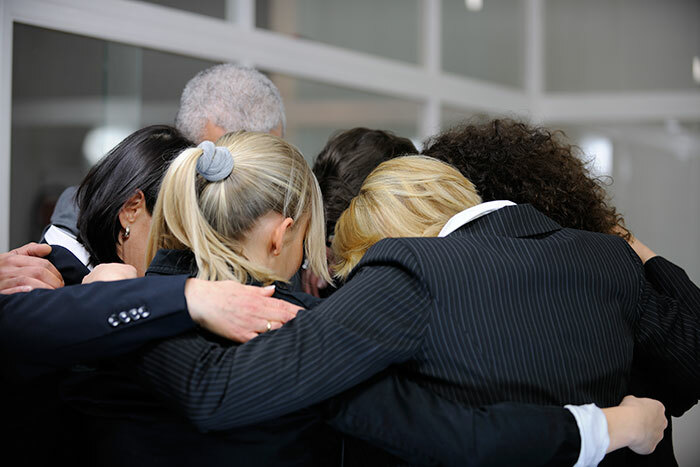 Team-building games ensure that people are engaging with each other in meaningful ways. They work in many situations and with any age. They can promote cooperation and communication, help establish a positive environment, and provide a much-needed reprieve from routine. Most importantly, teambuilding games are fun!